Following a long period when the Stuart kings wanted to ride roughshod over the will of Parliament, the final straw and direct cause of the Civil War was the Ship Money Tax. In 1635 King Charles ordered that everyone in the country should pay Ship Money. This was historically a tax paid by coastal towns and villages to pay for the upkeep of the navy. The logic was that coastal areas most benefited from the navy’s protection. Charles decided that everyone in the kingdom benefited from the navy’s protection and that everyone should pay. In one sense, Charles was correct, but such was the relationship between him and the powerful men of the kingdom, that this issue caused a huge argument between both sides. One of the most powerful men in England was John Hampden MP for Buckinghamshire. He came from an old established Anglo-Saxon family from Great Hampden, Buckinghamshire. He refused to pay the new tax as Parliament had not agreed to it. Parliament was also not sitting because Charles had locked the MP’s out. With five other MP’s Hampden was put on trial and found guilty. However, he had become a hero for standing up to the king. In 1642, King Charles went to Parliament with 300 soldiers to arrest his five biggest critics. Someone close to the king had already tipped off Parliament that these men were about to be arrested and they had already fled to the safety of the City of London where they could easily hide from the king. However, Charles had shown his true nature. Members of Parliament represented the people. Charles had attempted to arrest five Members of Parliament simply because they dared to criticise him. If Charles was prepared to arrest five Members of Parliament, how many others were not safe? Charles now realised that things had broken down between him and Parliament. Only six days after trying to arrest the five Members of Parliament, Charles left London to head for Oxford to raise an army to fight Parliament for control of England. A civil war could not be avoided. Free speech and Nonconformism were deeply entrenched in the Parliamentary ranks, inspired like the Peasants Revolt of almost three centuries earlier, and the ready availability of the English Bible. English Civil War map, 1642. Pink = Royalist control; Dark blue = Parliament control. 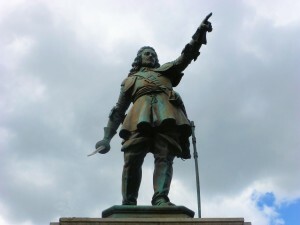 John Hampden MP for Buckinghamshire – his statue in Aylesbury. During 1643 when King Charles was based at Oxford, he had outposts well established to the north and west of Swanbourne. The Royal Army included foreign mercenary troops (the Dutch Prince Rupert’s forces) who were very ruthless and hated by the people. Keeping the King’s army with sufficient food and pay sometimes required raids in to enemy territory. In the spring of 1643, a foraging force left the enemy camp under the command of Lord Carnarvon to descend upon the Parliamentary strongholds of Winslow and Swanbourne guided by a man named Jackson of Winslow. Swanbourne was strongly protestant and strongly pro Parliament. Nineteenth century historians (Clear, 1895) refer to a force of forty Musketeers from Aylesbury being garrisoned in the village. 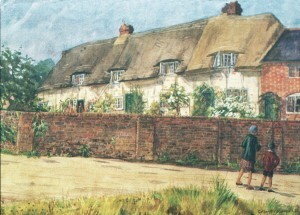 The existence of a garrison is supported by the tradition that the former Hall House, now a row of cottages, known as `Barrack Row,` was used to house troops at that time. 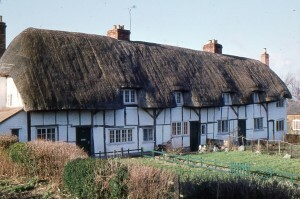 This fifteenth century house survives today, suggesting that any garrison remained inside during the raid putting up a defensive fight, when a number of houses around the rest of the village were burned with guards posted to prevent the quenching of the flames. According to some reports, a pregnant woman was killed during this act of Royalist vandalism (Reading, 1994). 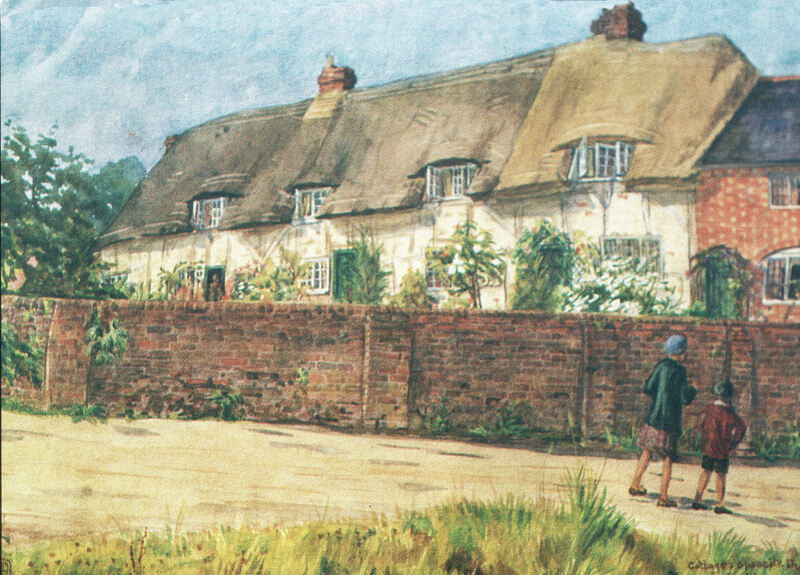 Barrack Row, Duck End Swanbourne, provided barracks for 40 Parliamentarian troops in 1643. From a 19th Century painting by Florence Fremantle. The original force sent into the district was claimed to number twelve or fourteen thousand; so even allowing for garrisons left in captured towns, it seems probable that any defenders were so heavily outnumbered as to make the defence of their barracks the most practical policy. Mr Jackson probably provided the raiders with such information as they required for the purpose of selecting houses for burning. Several older part timbered properties within Swanbourne show evidence of scorched old timbers which may date back to this episode. The house of Major Thomas Deverell, serving away with the parliamentary army, would provide a suitable target. Other dwellings likely to have been burned may be identified as having stood upon sites now occupied by mid 17th Century houses of heavy timber construction. Documentary evidence for the burning of Swanbourne:- Burning Swanborne Extract from historian Arthur Clear writing in the Bucks Herald pdf 2 based on letters in the Oxford Bodlean Library. In June 1643, a Parliamentary Commission assigned timber to be cut from the `Whittle Wood Forest` or any other convenient woods belonging to the King or his followers, for the rebuilding of the houses destroyed. 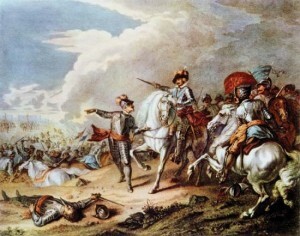 Battle of Naseby, Northamptonshire, 14th June, 1645. The decisive Parliamentary victory. Constitutionally, the wars established the precedent that an English monarch cannot govern without Parliament’s consent. 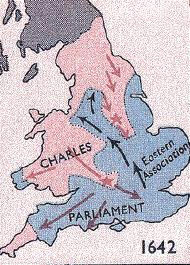 Charles 1st was subsequently executed and England became a republic for twelve years. Only after the death of Oliver Cromwell in 1659 was the scene set for the restoration of the monarchy with the return of Charles II from abroad.